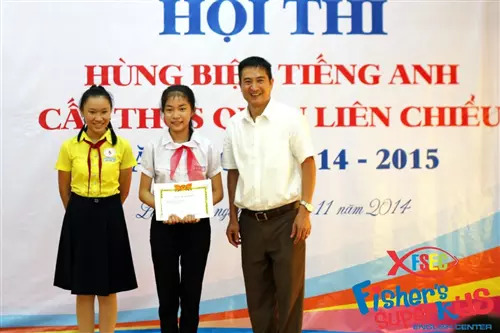 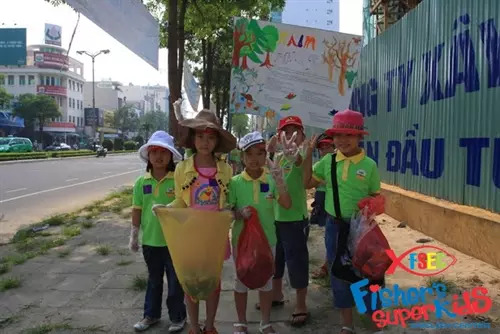 This summer, teachers at Fisher's Superkids donated clothes, milk and notebooks to the poor students in Nam O - Da Nang fishing village. 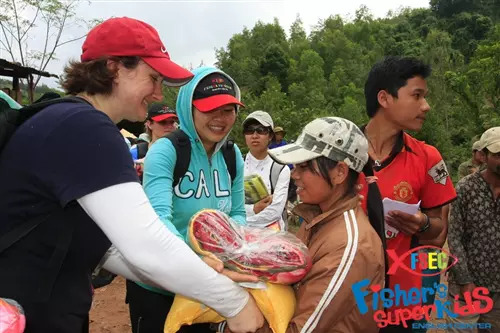 Even though the sun was hot, teachers did not hesitate to move many gifts into the village by their hands. 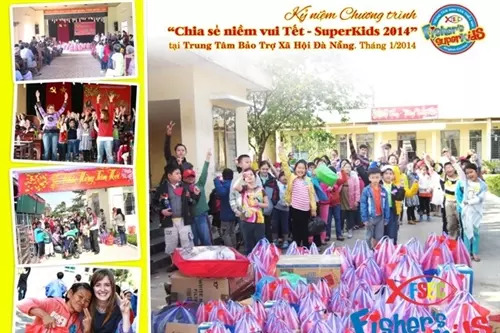 The teachers sang and played games for the children. 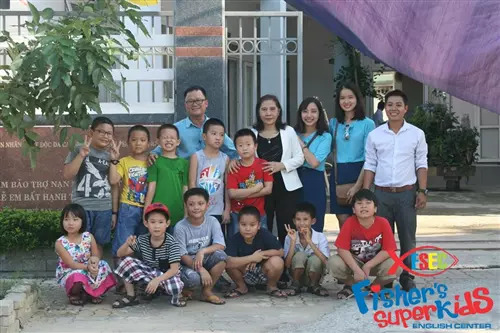 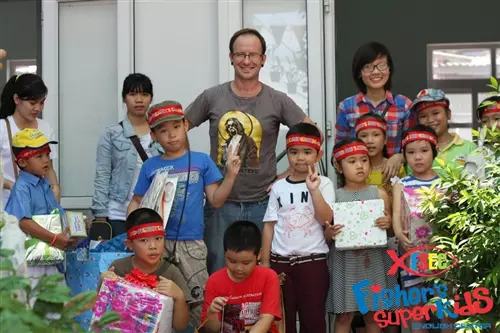 Superkids also subsidizes monthly funds for 5 Vietnamese teachers to teach the children every day so that they can have a better opportunity to education.